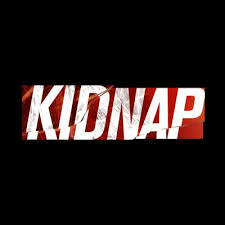 The Borno Police Command has said that one of the suspects in a kidnapping drama, a woman named Fatima Mohammed, who went to Capital School in Old GRA Maiduguri and abducted four year old Kashim Ali Bukar Dalori , son of the All Progressives Congress (APC ) chairman in Borno State, Ali Bukar Dalori , was delivered of a baby boy while watching over the abducted child in a hotel room. Narrating the incident yesterday in Maiduguri on how his men arrested the culprits, the Borno State Commissioner of Police, Damian Chukwu said instant investigation led Federal SARS detectives to Albarka Guest Inn along Baga road , Maiduguri where the said Fatima Mohammed of Bulunkutu area was lodged. Chukwu said that the woman kidnapper was arrested in possession of the four year old victim, adding that the rescued victim was handed over to the parents after medical examination. 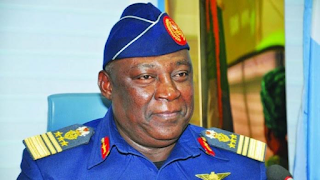 He added that a Nigerian Military Officer of the rank of major ( names withheld for investigation purpose) who was reported to have accommodated the female suspect in the Guest Inn is now at large. He said, “ On 19th September, 2018 at about 2:30 pm , one Alhaji Ali Bukar Dalori, Chairman of the All Progressives Congress (APC) , Borno State chapter, reported to the police that about 1pm same day , an unknown woman went to capital school, Old GRA , Maiduguri , abducted his four ( 4) year old son , Kashim Ali Bukar Dalori and took him to unknown destination. “ That the abductor and syndicate subsequently demanded for a ransom of N20 million through a text message sent to the mother of the victim. That the ransom was to be dropped in Kano before the release of the victim. “ Following the incident, I immediately mobilised teams of FSARS personnel led by the Commander , CSP Ibrahim Mohammed , to swing into action for possible rescue of the victim and arrest of suspects. Tentacles within and outside Maiduguri Metropolis were spread with the aid of the Inspector General of Police Intelligence Response Team ( IRT) . “ On 21st September, 2018 at about 7:50 pm , two members of the syndicate , Mohammed Shehu Musa alias Alhaji Shana and Muktar Goni Shuaibu alias Bana , both of Bulunkutu area of Maiduguri were arrested in Kano State at the point of collection of the N20 million ransom. “ This was also followed with the arrests of Fatima Mohammed, in possession of the victim in a hotel room at Albarka Guest Inn along Baga road Maiduguri. Pertinent to mention that the said Fatima Mohammed who was pregnant at the time she kidnapped the minor , gave birth to a baby boy in the Guest Inn while keeping the victim on the 21st of September, 2018,” CP Damian Chukwu added. Chukwu also revealed that the command in the same period also rescued, one Ibrahim Ahmed , an eight year old son of APC chairman, Askira/ Uba local government area abducted from a school in Maiduguri, hence the command has cautioned schools in the capital City of Maiduguri, through the Nigeria Union of Teacher ( NUT) to be mindful of whom they release pupils and students to especially in this electioneering period.